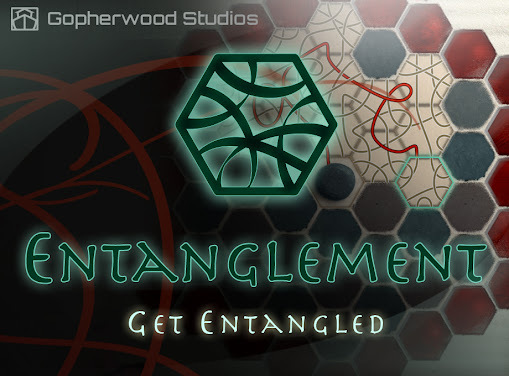 Gopherwood Studios Blog: Entanglement on Steam! Over the past two months I've been experimenting with NW.js, a tool that encapsulates web-based apps as executable applications. Using nw-builder, I had a working "native" app relatively quickly, but I did have to spend a bit more time making sure app icons and application menus behaved correctly across platforms. (I intend to post one or two of my technical solutions to these issues over the next few weeks.) The end result is that the code-base for the native app is essentially the same as the online version, so any updates appearing in one should eventually appear in the other. Once I had viable builds for Windows, OSX, and Linux, the next logical step was to explore distribution. Steam seemed like a great marketplace to explore. I've been on the consumer side of the system, but trying to get something put out there on the seller side of things seemed like a fun learning opportunity. After paying the initial $100 game submission fee and downloading the SDK, I wandered around the Steamworks site for about two days (with no water or shade!) trying to figure things out. There are plenty of knobs and buttons and features available, but thankfully Valve provides a convenient checklist to go through that made my initial experience much more purposeful. Had it not been for the checklist, I may have been wandering for weeks. Entanglement Board Game Crowd Sale!